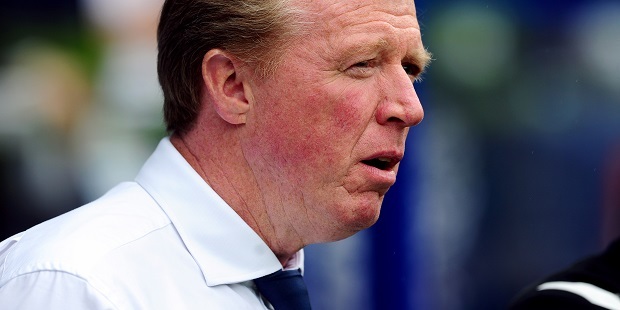 Steve McClaren says it is vital that QPR bring in players before the loan window closes at the end of this month. German defender Toni Leistner is the only senior player signed by Rangers so far this summer. And McClaren, whose first game as Rangers manager ended in a 1-0 defeat at Preston, believes the shortcomings that were evident last season will continue unless new faces arrive. He explained: “We’ve brought in one player and things from last season – seven clean sheets and three away wins – are still going to be there. “We’ve made one signing. I think we need more and we’re still searching for that. “There’s a few weeks to go before the end of the loan window and I think we will be looking to strengthen the squad. McClaren fielded a young side at Preston, where Rangers were second best for most of the game. “You don’t really know what you have until the first game and now we have a better picture of what we need to do,” he said. Looking good for 6 points off QPR. Nice £42 Million fine to be going on with and the Wally installed. What goes around comes around to cheating FFP bar stewards. why, would it take another defeat to realise we needed new players’re the board so naive to seriously believe that a couple of youth players were going to work a miracle.Reality check, hallo,everyone but everyone (except the board) knew it so lets face reality and stop trying to kid the fans and supporters and start acting like a responsible football club board, we the supporters deserve it! !.